Nijla Mu’min's debut focuses on a young woman whose mother converts to Islam. 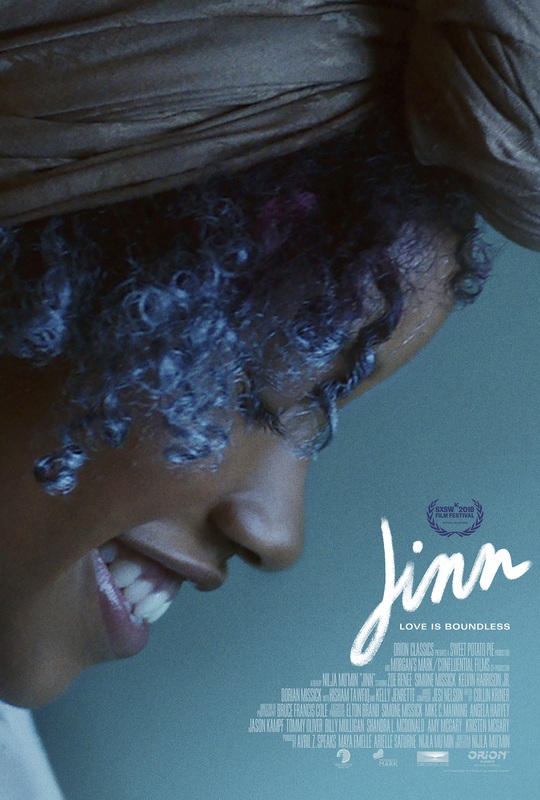 Writer-director Nijla Mu’min makes her feature directorial debut with “Jinn,” a dramatic film that follows a carefree 17-year-old black girl named Summer, whose world is turned upside down when her mother, Jade, converts to Islam. Making its world premiere at SXSW this year, where it won the Special Jury Award for writing, the film offers a fresh look at identity, Islam, and first love in contemporary Los Angeles. “Jinn” stars Zoe Renee (“The Quad”) as Summer and “Luke Cage” co-star Simone Missick as Summer’s mother Jade. The cast also includes Hisham Tawfiq (“The Blacklist”), Kelly Jenrette (“Grandfathered,” “Pitch”), Kelvin Harrison, Jr. (“Mudbound”), and Dorian Missick (“Monster”). The film was acquired over the summer by the newly relaunched Orion Classics, which will release “Jinn” theatrically on November 15 and on VOD and Digital HD on November 16. The film was produced by Sweet Potato Pie Production’s Avril Z. Speaks, Morgan’s Mark Production’s Maya Emelle and Arielle Saturne. Simone Missick, Elton Brand, Angela Harvey, Jason Kampf, Mike C. Manning, Shandra L. McDonald, Amy McGary, Kristen McGary and Confluential Films’ Billy Mulligan and Tommy Oliver are executive producers. Ahead of the film’s November 15 theatrical premiere, check out IndieWire’s exclusive first-look at the trailer and poster for “Jinn” below.